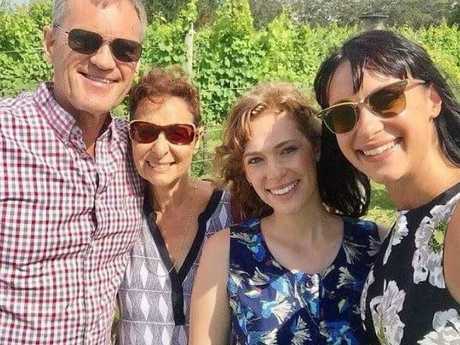 JESSICA Falkholt's mother, father and sister will be laid to rest in Sydney while the TV actor remains in a critical condition in a nearby hospital, unaware she's the sole survivor of a fiery Boxing Day car crash. 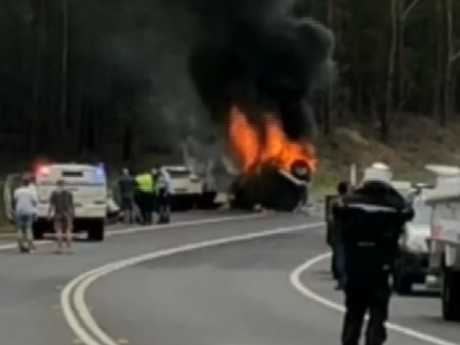 The funerals of Lars, Vivian and Annabelle Falkholt, who were killed after their car collided with a four-wheel drive near Ulladulla on December 26, will be held in Sydney's inner west today. 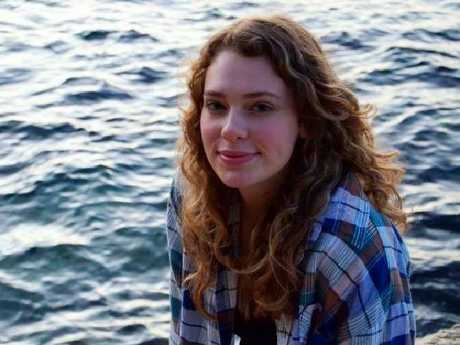 Annabelle Falkholt, 21, succumbed to her injuries at Liverpool Hospital three days after the crash. (L to R) Lars and Vivian Falkholt, Annabelle Falkholt and Jessica Falkholt. Actress Jessica Falkholt is the final member of her family clinging to life after a horror crash on NSW south coast killed her parents and sister. Two weeks after the tragic accident, the three family members will be laid to rest at a private interment following a mass at St Mary's Catholic Church in Concord at 10.30am. Jessica, 29, and Annabelle, 21, were pulled from the wreckage of the car, which then erupted into flames with the bodies of their parents still inside. Annabelle was flown to Liverpool Hospital in a critical condition but died three days later. The deceased trio has been described as the "dearly loved and cherished father, mother and sister to Jessica," in a funeral notice published by Fairfax Media. "Lars, Vivian and Annabelle will be deeply missed by Vivian's brother Paul Ponticello, his children Paul and Natalie, along with many relatives and friends both near and far," the notice read. "In Sweden, Lars leaves behind his brothers, sister and extended family." Vivian had Italian heritage. Donations to cancer charity Redkite have been requested in lieu of flowers. Jessica remains in a critical condition at St George Hospital, a hospital spokeswoman told AAP on Tuesday night. The Home And Away actor is in intensive care at St George Hospital. The 29-year-old has undergone several surgeries including the removal of a kidney and part of her skull and is in a coma, News Corp Australia reports. In recent years Jessica found fame on the small screen as Hope Morrison in Home and Away, with the long-running TV soap paving the way for her feature film debut in the forthcoming supernatural thriller Harmony.